A Real Estate agent can be considered a Realtor® only after joining the Association and subscribing to a strict “Code of Ethics” (which goes well beyond state law). 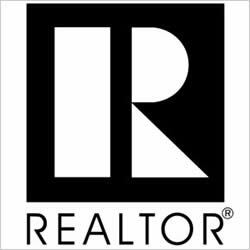 It is through the Realtor Association that the Agent agrees to collectively share the information on all houses listed for sale. This is done through the MLS or Multiple Listing Service. A great agent has long experience with recent sales and can walk a tightrope, balancing optimism with realism and diplomacy with brutal honesty. You can often find out how long the agent has been selling real estate from the state licensing authority. Or, you can just ask the agent. “If they haven’t been in business for at least five years, they’re still learning on you and that’s not good,” says a source. States will have boards that license and discipline real estate agents in those states. Check with your state’s regulatory body to find out if the person is licensed and if there have been any disciplinary actions or complaints. Peer-given awards count. One that really means something is the “Re/Max Hall of Fame” designation awarded for long term success and professionalism in the field of real estate.